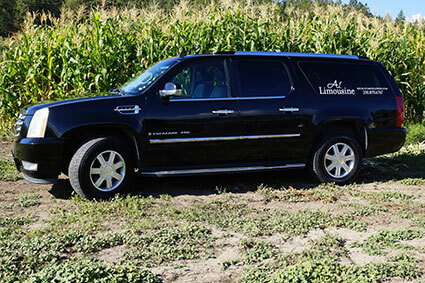 A1 Limousine in Kelowna offers limo service to and from Kelowna and Vernon, as well as any location in British Columbia, for luxurious limousine service for all occasions. Our Rates vary depending on distance, number of guests and hours. Please email or call us to request a quote. A1 Limousine Kelowna requires a 50% deposit based on the quote we give you for your required services, at the time you confirm a date to reserve one or more vehicles for your limousine transportation needs. All deposits are non-refundable. We will try to accommodate any change in dates, based on vehicle availability. Any damage caused by a customer shall be the responsibility of the customer and may be required to be paid immediately. A1 Limousine Service reserves the right to terminate the transporatiion service, although the damage repayment will still be the responsibility of the customer. IMPORTANT NOTIFICATION: The BC Government & Passenger Transportation Board now regulate that Owner/Operators will be subject to fines and licence suspensions in the event of alcohol consumption during a limousine ride. No alcohol of any kind is permitted inside any BC licensed limousine.